LOS ANGELES, October 4, 2018 /3BL Media/ -- Twentieth Century Fox Film and AMC Theatres are joining forces to provide underserved and underrepresented young people across the country access to the powerful new film THE HATE U GIVE, as a tool for driving empowerment, empathy, and dialogue. The studio and theatre chain are hosting free screenings in nine metro areas during the film’s limited release – at 11am local time, Saturday, October 6: Atlanta, GA, Baltimore, MD, Dallas, TX, Houston, TX, Los Angeles, CA, Miami, FL, New York, NY, Philadelphia, PA, and Washington, DC. Students and youth-serving organizations are encouraged to register for the free screenings; visit amctheatres.com/group/the-hate-u-give to reserve tickets. The limited release screenings kick off a campaign to bring up to 50 screenings to communities around the country and amplify the film’s call for youth to find their voice and change the world. Schools, community groups and nonprofit organizations can apply for free screenings at screenings.thehateugive.com. Applications are due October 22, 2018, and winners will be selected by October 31, 2018. Individuals interested in supporting screenings for classrooms around the country can contribute via donorschoose.org/thehateugivemovie. Parent company 21st Century Fox will match donations up to $25,000. In addition to applying for screenings, educators are invited to download a complimentary curriculum guide for middle school, high school and college students at bazaned.com/the-hate-u-give-curriculum-guide. THE HATE U GIVE lesson plans – including video clips, interviews and photos from the film – are designed to meet Common Core and NCSS standards. In THE HATE U GIVE, Starr Carter is constantly switching between two worlds: the poor, mostly black, neighborhood where she lives and the rich, mostly white, prep school she attends. The uneasy balance between these worlds is shattered when Starr witnesses the fatal shooting of her childhood best friend Khalil at the hands of a police officer. Now, facing pressures from all sides of the community, Starr must find her voice and stand up for what's right. THE HATE U GIVE is based on the critically acclaimed New York Times bestseller by Angie Thomas, directed by George Tillman, Jr., and stars Amandla Stenberg as Starr, with Regina Hall, Russell Hornsby, Issa Rae, KJ Apa, Algee Smith, Sabrina Carpenter, Common and Anthony Mackie. THE HATE U GIVE community screenings campaign follows an effort last year by Twentieth Century Fox Film to expose more youth to Hidden Figures and the previously untold story of the African-American female mathematicians who were pivotal in NASA’s success during the 1960-70s’ Space Race. Over 7,000 groups applied for screenings and 6,300 tickets were given out as part of the program. The film will be shown in select theatres beginning October 5, and everywhere October 19. 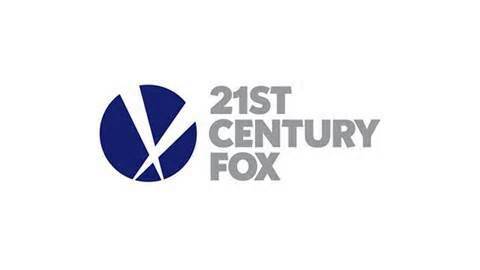 One of the world’s largest producers and distributors of motion pictures, Twentieth Century Fox Film produces, acquires and distributes motion pictures throughout the world. These motion pictures are produced or acquired by the following units of Twentieth Century Fox Film: Twentieth Century Fox, Fox 2000 Pictures, Fox Searchlight Pictures, Twentieth Century Fox Animation and Fox Family. AMC is the largest movie exhibition company in the U.S., in Europe and throughout the world with more than 1,000 theatres and nearly 11,000 screens across the globe. AMC has propelled innovation in the exhibition industry by: deploying its Signature power-recliner seats; delivering enhanced food and beverage choices; generating greater guest engagement through its loyalty program, web site and smartphone apps; offering premium large format experiences and playing a wide variety of content including the latest Hollywood releases and independent programming. AMC operates among the most productive theatres in the United States' top markets, having the #1 or #2 market share positions in 22 of the 25 largest metropolitan areas of the United States, including the top three markets (NY, LA, Chicago). Through its Odeon subsidiary AMC operates in 14 European countries and is the #1 theatre chain in Estonia, Finland, Italy, Latvia, Lithuania, Norway, Spain, Sweden and UK & Ireland. In a joint partnership with The Development and Investment Entertainment Company, a subsidiary of The Public Investment Fund of Saudi Arabia, AMC also operates AMC Cinemas in the Kingdom of Saudi Arabia. For more information, visit www.amctheatres.com.